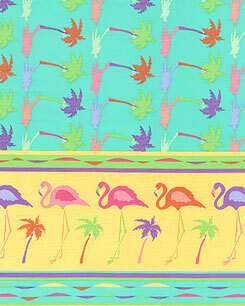 Tapestry Fabric, Border Stripes, Duck Cloth, Fleece, etc. 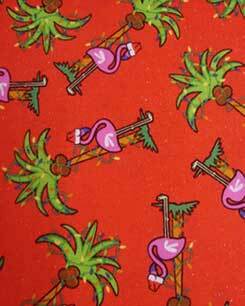 These fabrics, when available, are different from our normal 100% cotton, 45" wide fabrics. UPDATE- All Fleece now sold out- 12/5/2016! 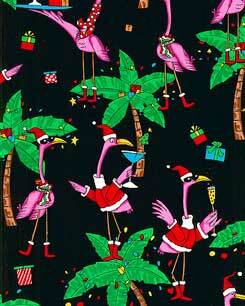 Fleece - Flamingo and flowers. 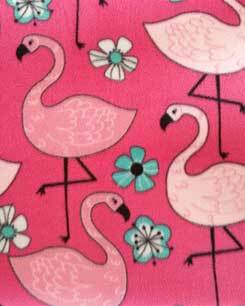 Large pink flamingos and mixed flowers. 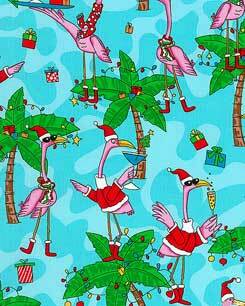 Flamingos are 15 inches. 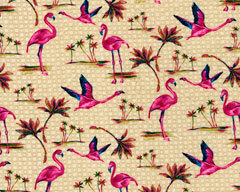 Great for tablecloths or outdoor cushions. 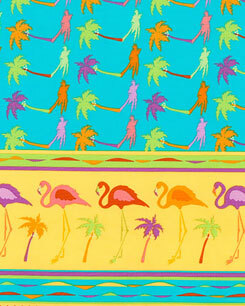 Hot pink, olive green, blue, orange, purple and aqua on a white background. 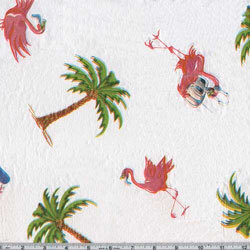 Peridot, Candy Pink, Lime, Rose Pink, Coral, Lilac, Purple, Pineapple, Deep Aqua Colorful palm trees cast shadows over a deep aqua ground and flamingos step over sun gold border stripes in this beachy design. 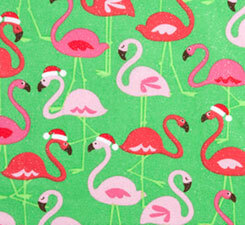 Flamingos are about 3". A 6" stripe runs along each selvedge edge"